If you stay up-to-date on equestrian news, you’re probably already aware of the huge event that’s planned for Lexington, Kentucky beginning in September. But for the rest of our readers, we just wanted to spread the word about the 2010 Alltech FEI World Equestrian Games. The event is the international championship for eight equine disciplines (eventing, dressage, show jumping, reining, vaulting, combined driving, para-dressage, and endurance) and is going to be hosted on US soil for the first time. Having visited Lexington and the Kentucky Horse Park twice this spring (for the Rolex Three-Day Event and for IHSA Nationals) I know that preparations have been underway for months, and that nearly the entire city of Lexington, if not the state of Kentucky is counting down the days (87 as of today) until the opening ceremony. Hodges is excited to play a small part in the planning, by supplying all ribbons and sashes for the event through our work with L.V. Harkness, the official awards supplier to the Games. But really, what is most exciting is the high level of competition, and the fact that all eight disciplines will compete at the same location all during one event. Even Olympic equestrian sports are limited to dressage, eventing and show jumping. Are you planning on going to Kentucky for the Games? Let us know in the comments. 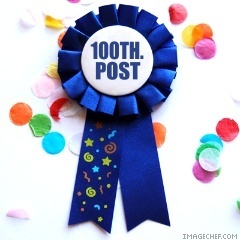 Happy 100th (oops 101st) Post! So I made a bit of a blogger error and neglected to notice that my last post was going to be the 100th post for this blog. 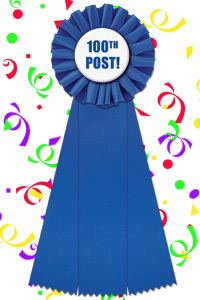 Even though this is technically the 101st post, here’s to celebrating 100! Although I have only been blogging here since January, I enjoy sharing what’s going on at Hodges with readers and hope to bring the blog to its 200th post. Does anyone have a favorite post from among our first 100? I’d say the first announcement of our wind turbine was pretty cool, and I know our employees were happy to see their furry friends in the pet slide show. Next on my list of interviewees is Donna, who has 10 years’ experience working for Hodges Badge Company, both before and after taking time off to raise her two boys. When I asked Donna when she started, her response was “when we used paper files and all orders were handwritten.” Yes, a lot has changed since then. According to Donna, the best part about her job is sharing her specialized knowledge of ribbons and awards with people that are new to ordering them or unfamiliar with how they are made. When I asked her about a particularly memorable customer, Donna told me about last summer’s ribbon order for Hardly Strictly Bluegrass, a huge music festival in San Francisco. Together with an assistant for the festival, Donna designed ribbons with music stars’ names (Lyle Lovett, Emmylou Harris, MC Hammer) to hang backstage in their hospitality area. Especially important was that no singer’s name be printed larger than another’s! Outside of work, Donna is quite busy with her two sons and their activities, as well as an Australian Shepherd, cat and guinea pig. (I’m noticing a trend of Hodges employees being “animal people”.) If the family has some free time, they head out sailing with the kids as crew. Do you supply copies of past orders? YES! We keep records of all orders placed within the past two years. So if new to the awards responsibilities of your event, don’t worry. We can email a copy within 24 hours of the request. Will my logo work on your products? Some logos need to be “cleaned up” in order to use them on engraved products. If you supply Customer Service with a logo, we will get back to you with an estimate on required art time within one business day. Do I need to use a Hodges Badge Company rosette or ribbon in my photo for your equestrian Cover Contest? 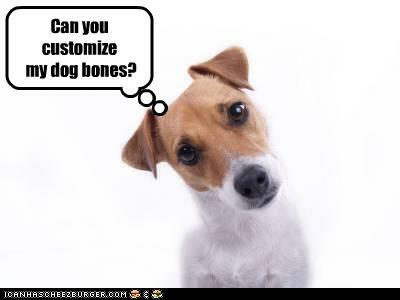 Really, we do get asked this! If you were us, would you put a competitor’s ribbon on the cover of your catalog? Can you take over my order that used to be made by another company? Yes. If you provide us with images of the ribbons or products you previously ordered, we will supply a quote with the best match to a Hodges product. Just for entertainment’s sake, here’s another (real, I swear!) question that made our customer service reps chuckle. What would it cost to turn your trophies into a lamp? 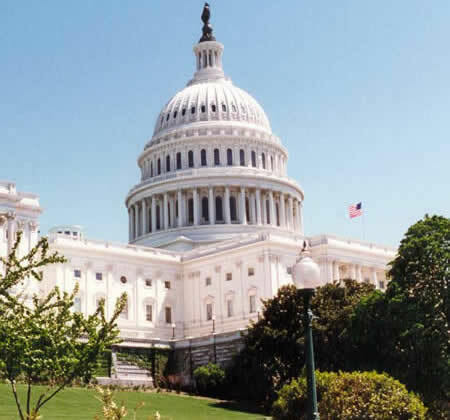 This past Wednesday, Hodges Badge Company’s Vice President, Jane Sousa traveled to Washington, D.C. to take part in Rhode Island Energy & Environmental Leaders Day. Hosted by Senator Sheldon Whitehouse’s office, the day brought together members of Rhode Island’s environmental and energy groups with national leaders from Congress, the EPA, Department of Energy, Department of the Interior and the Council on Environmental Quality. Given our company’s interest in green manufacturing and clean energy, not to mention our wind turbine in-the-works, we were honored to be included in the discussions with such high level policy makers. Among the highlighted speakers were Ken Salazar, Secretary of the Interior, Senator John Kerry, Senator Jack Reed, and Lisa Jackson, Administrator of the EPA. Discussions covered topics ranging from current research at URI and Brown on the changing state of Rhode Island’s ecosystem and the Narragansett Bay aquaculture, to opportunities for green jobs, to federal programming and funding available to the state’s businesses and organizations for environmental projects. When I asked Jane what she took away from the summit, she said she felt good about Hodges’ efforts to install the wind turbine, given the serious consequences of carbon pollution on Rhode Island’s environment. 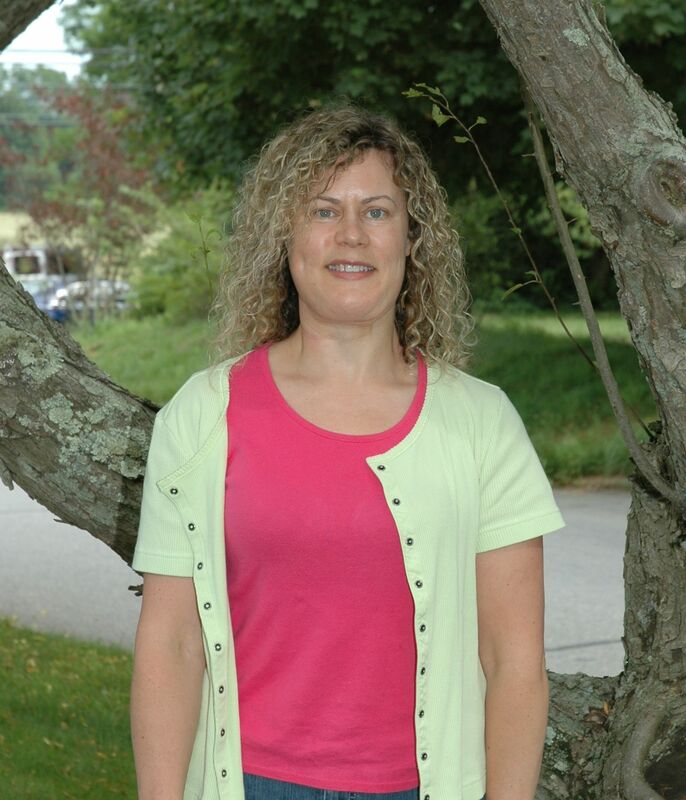 “We’re doing our part, but there are many more things available [besides wind power] to help Rhode Island businesses preserve environmental resources” she added. 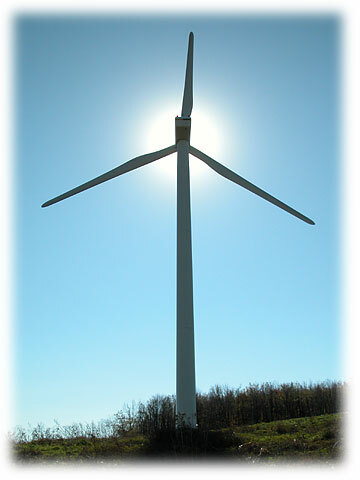 While the Leaders Day was a unique event, Hodges Badge will continue to pay close attention to local environmental policy issues leading up to the October installation of our wind turbine. And of course, you can count on the blog for updates! Last weekend, Rick and I had a great time in Sacramento meeting with customers and prospective customers at the Western States Horse Expo. The Expo was huge. There were four buildings filled with great vendors, a full schedule with clinics (by Olympians) and breed demonstrations, and even a separate Dogs Pavilion with demonstrations by Splashdogs, a dock diving competition for dogs. Having grown up in New England and always ridden English, I’d never been to a horse auction before, and got to see them auction off over 100 western horses. I quickly had to learn the auctioneer’s “language”… and be careful not to raise my hand! I even got the chance to see a model horse (Breyer) competition. Back out our booth, the customers we spoke with were excited to see our Pewtarex plates and bronze resin trophies in person. They also were impressed by the wide variety of multicolor side streamers we offer. One other thing: we also made friends with our neighbors in the booth across the way. So if you’re out West and need some shavings, be sure to check out Rosebud. Now I know you’re waiting for the photos… but due to a technical difficulty you’ll have to wait for an update tonight or tomorrow.